Bill Murray’s Vincent doesn’t want to know his neighbors. And when Melissa McCarthy, his neighbor, finally becomes laden with pain and misery, she knows better than to tell her crabby neighbor Vincent. “It’s a long story” is all she volunteers, knowing he couldn’t be bothered with the details of her sorrow. Yet he reaches out to her in the most telling and cursory way. It’s a pivotal moment, yet a quiet one in an uneven film. “What’s the punch line?” he asks. For this character to even ask is a major breakthrough. 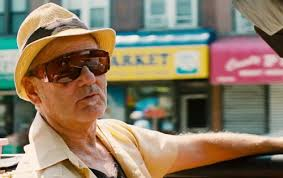 The film, St Vincent, is a dramatic one with occasional touches of the signature comic relief we’ve come to expect from Bill Murray. The showstopper is the child that binds the curmudgeonly character to the rest of the plot. Without him, the film becomes unworkable. The knocks on this plot come from critics pointing out the fable elements of the story which are introduced late in the film. But there’s not enough saccharine sweetness to throw off the rhythm of the basic premise-St. Vincent is no saint. However, looking beneath the dark surface, there is also light. That is the point. This is Murray’s film, and he plays the part well. No one else would attempt this unique role, or be able to pull it off as Bill Murray does. The dark side of Murray has always been on display. It took St. Vincent to shine the light on a gifted actor born to play the role of this particular curmudgeon with a heart of gold buried deep inside. There are some 6 degree elements when you consider Jack Nicholson’s take on the funny miser in “As Good as it Gets”. But for the most part, this is simply Bill Murray, warts and all, on display as we’ve never seen him. There were some hints of the dark side in “Scrooged”, but Murray was simply too young to play a full blown bore. And we’ve always known he’s had it in him to play this darker version of himself. Without holding back, he is spot on, hitting all his marks with humor and bad grace. If you love Bill Murray, you should complete the circle and see this film. We’ve known him as the wise guy, the talk show persona, his Saturday Night Live characters, the comic hero & legend, and then there’s the dark side of Murray. Here is the maverick who doesn’t give a damn, but we like and admire the honesty on display. The wit is still there, without the charm. Don’t be fooled by the previews, this is not one of the early Murray comedies. This is more a dramedy, perhaps. But it’s well worth the effort for those who’ve loved the characters that Bill Murray has portrayed through the years. St. Vincent is one that completes the circle.